Friday the 13th Reboot May Ditch Jason Voorhees for an All-New Slasher! Platinum Dunes producer Bradley Fuller was on hand at the Television Critics Association this weekend to promote his upcoming Starz pirate drama Black Sails as well as the TNT naval drama The Last Ship, and during one of the Q&As, he let slip what could be very big news for the horror world. 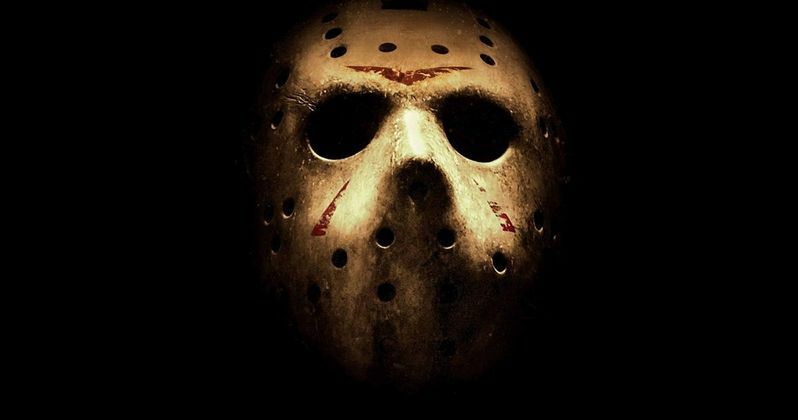 Iconic slasher Jason Voorhees may not be the villain of the impending Friday the 13th reboot. When asked if Derek Mears, the actor who played Jason in the 2009 Friday the 13th, was coming back, Fuller made his bold proclamation. "I don't know, because I don't know if we're going to have Jason. I don't know which Jason we're going to have. I can tell you this: I love Derek Mears, I love working with him and he's a dream so we'd be lucky to have him." While the series was already 'rebooted' with 2009's Friday the 13th, a sequel to that movie never got off the ground. Paramount got the rights back last year, and they've decided to reboot the franchise a second time. Which could mean a complete overhaul of the entire series. There has been a lot of noise that this new version will be a found footage movie. Bradley Fuller isn't commited to confirming that idea at this time. "It's something that we're looking at, yeah. I never know because it depends on the story and what the story is. It's been reported, that's something that we're looking into, but I can't tell you definitively that that's what the movie is. It's a matter of getting a script that we all love, that we feel like we can execute in a great way. That's always the battle, isn't it? [It's] a very daunting task." The producer also talked about the sequel to his micro-budget, mega-success, The Purge 2. The film is already in production. "The sequel to The Purge delivers on the promise of the original in that we're not staying in the house. It's not a home invasion movie. This is you're out in the streets with people purging and a group of people who get stuck in the middle of it and have to get from point A to point B." The producer went onto talk about the upcoming thriller Ouija, based on the Hasbro board game. The film is no longer an adventure movie, as originally planned, but it is shooting for a PG-13 rating. Bradley Fuller explains. "Today is day 17 out of 25. We're shooting it here in Los Angeles. That is a fairly low-budgeted movie. It's the story that you think it is. It's the story about a group of kids who take out a Ouija board and start playing a game, and all hell breaks loose... In our movie, the Ouija board is a communication device. Our kids tap into something horrible and the Ouija board is the way that the entity comes in and is going to have to go out." Next he turned his attentions to the A Nightmare on Elm Street, which seems all but dead in the water after a disastrous 2010 reboot starring Jackie Earle Haley as Freddy Krueger failed to meet expectations. Will we see a sequel, or a second reboot? "You know what? I haven't heard a thing. It's a little bit disappointing. We were very proud of that movie. In terms of pure box office, I think that's our highest grossing film worldwide. I'd love to do another one, but I feel that way about all of our films. We don't jump into these films unless we actually loved the characters or the story. I'd love to make Freddy Krueger movies every couple years. It'd be fantastic." Back in 2010, Jackie Earle Haley was under contract for two more sequels. The producer was a little touchy about the subject. "I really don't know his deal so I don't know when it runs out, but that's up to New Line and if they want to do it, they will. But no one has talked to us about A Nightmare on Elm Street." What do you think? If there's no Jason, should they even bother calling it Friday the 13th?